The study of droplet dynamics is a crucial part of cloud physics and involves investigation of each and every droplet’s properties. It is difficult to carry out such investigations using field observations. 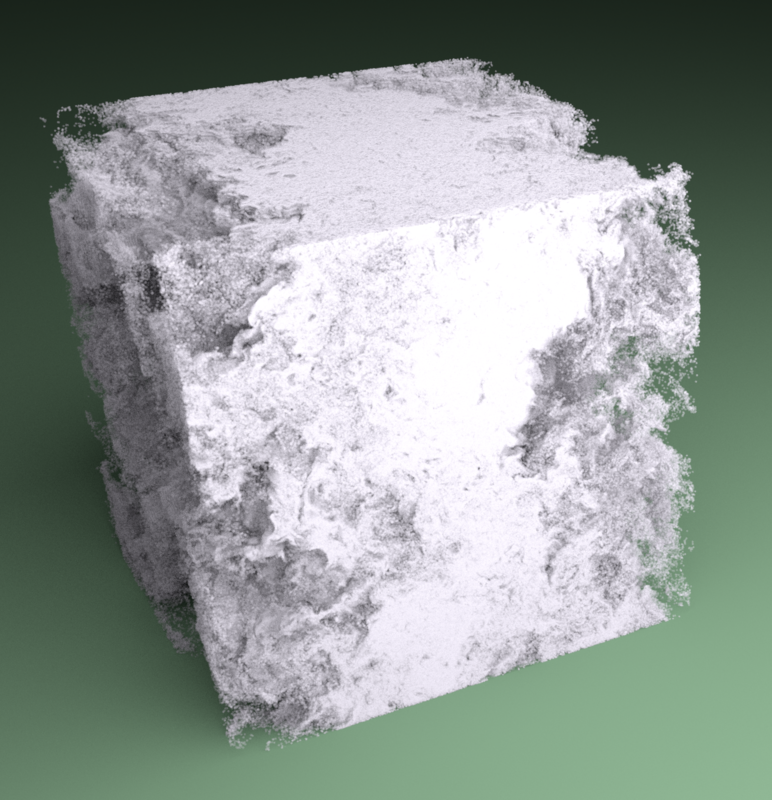 Small scale simulation is one method to study such phenomena, and visualization of these processes provides a deep and quick understanding. 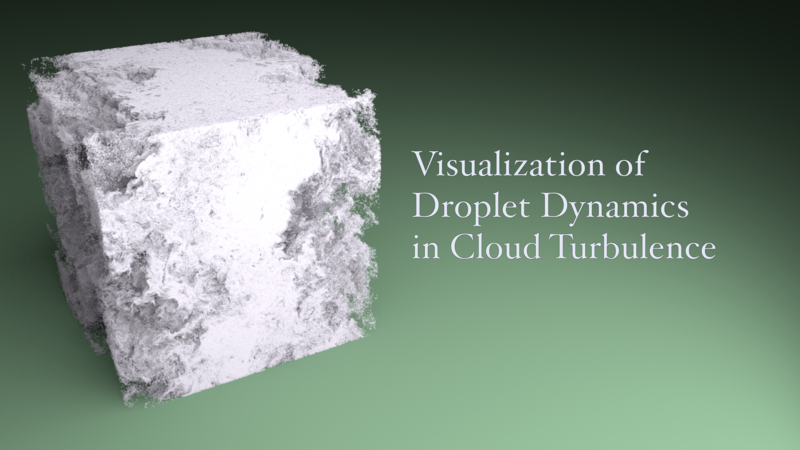 This work depicts data obtained from Direct Numerical Simulation (DNS) of entrainment and mixing processes at a cloud’s edge, which affect the droplet dynamics due to evaporation and condensation. This simulation contains coupled Eulerian and Lagrangian frames. Animations are created for both Eulerian grid data and Lagrangian droplet movement. 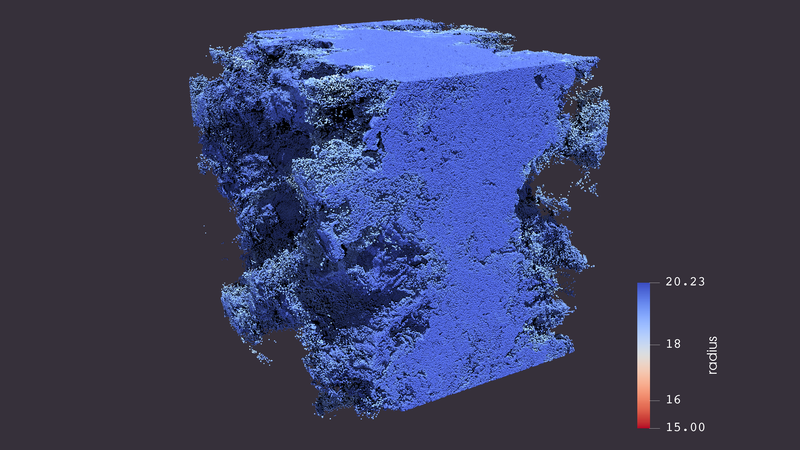 Scientific visualization provides a way to examine these turbulent properties in a particular part of a cloud and learn about droplet evolution and mixing phenomena in such highly turbulent areas. The simulation has been carried out on a HPC facility provided by the Ministry of Earth Science, Government of India at Indian Institute of Tropical Meteorology, Pune (http://pratyush.tropmet.res.in/). The computational time and data storage was provided through the HPCS project. The visualization was created using computing and storage resources provided by the Computational and Information Systems Lab at the National Center for Atmospheric Research.